Used Olds Ambassador Bb cornet in lacquer finish. 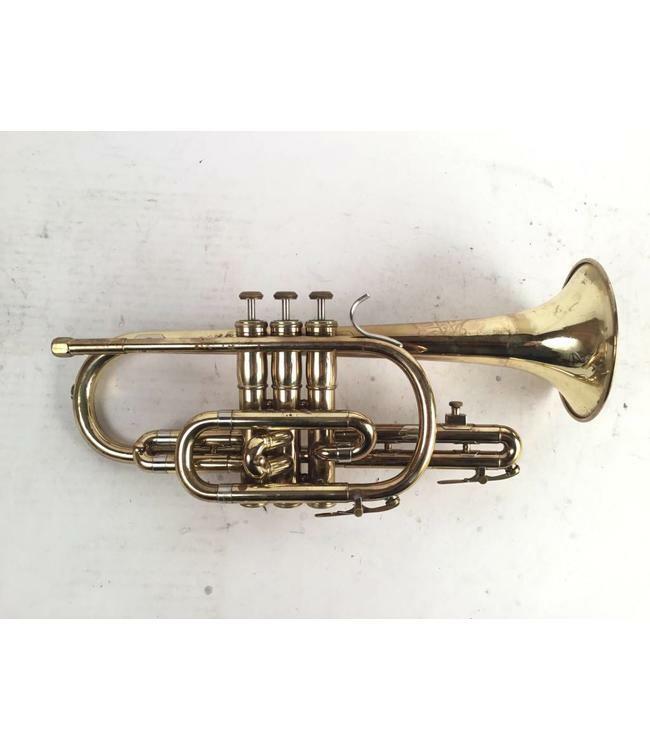 This cornet is in good overall condition with minor wear, dings, and signs of use throughout, not affecting play ability. Comes with case.